The best quality stickers for your helmet. 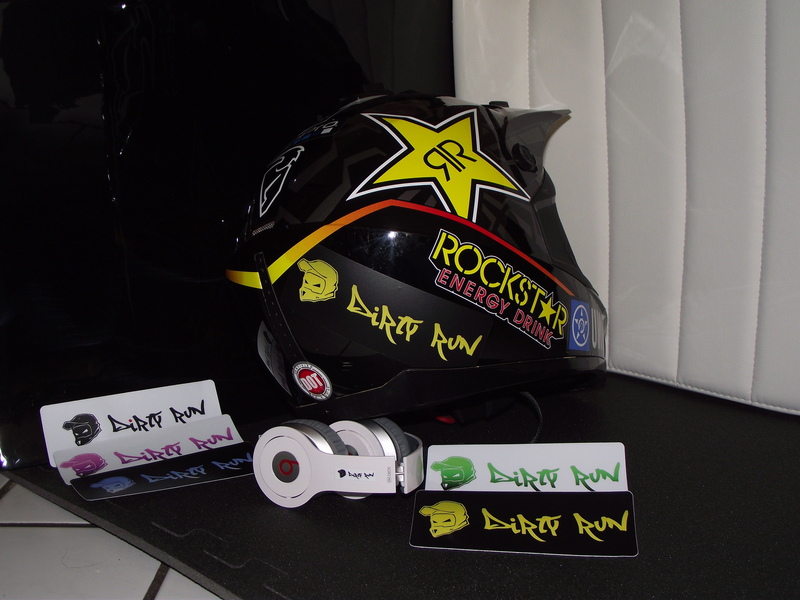 The best motocross helmets need the best stickers to survive all kinds of difficult trails. Riders are definitely aware of the tests their helmets go through every time they get on their bikes. Jumps, falls, dust, rain and much more. They need something that is built to last, a quality product with maximum resistance. That's why Camaloon's stickers respond to this kind of demand. Any Camaloon sticker is a reflection of the pilot: enduring strength, synonym of quality. If you are passionate about motocross, supercross or freestyle search no more and have a look at Camaloon. You can customise stickers with any design you want, your logo, your motto, your thoughts or pictures of you. Oval and rectangular stickers, like the ones Gaetan sent to us after sticking them onto his helmet. Or you can go for kiss cut stickers and give them the shape you like with a small white margin to guarantee extra protection. Get ready to face the tightest curves with the best quality stickers for your helmet.